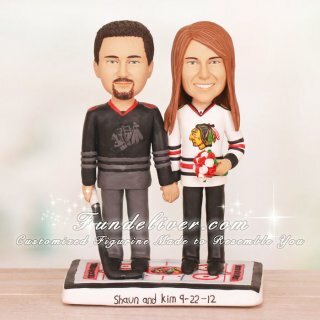 This is a completely customized Blackhawks hockey wedding cake topper ordered by one of our customers. They would like the groom to be wearing medium gray pants, black shoes and a black Chicago Blackhawks jersey with #2 Keith on the back. He is holding a black hockey stick with white tape. 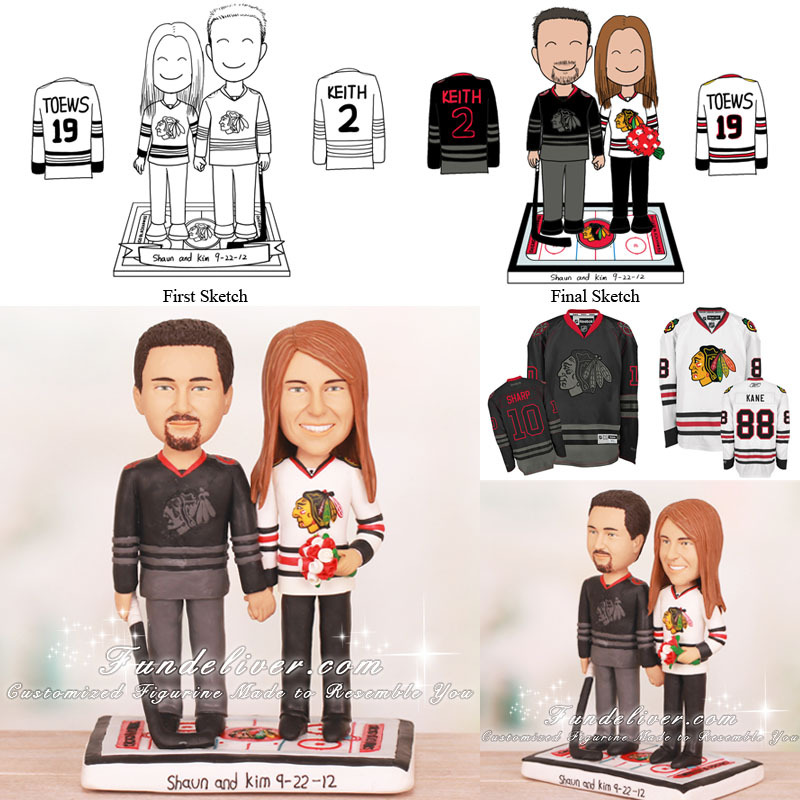 For the bride, they would like her to be wearing black leggings/pants, black boots and a white Chicago Blackhawks jersey with #19 Toews on the back, holding a small bouquet of red and white flowers. The bride and groom are holding hands, standing on Blackhawks ice rink with the Blackhawks emblem in the middle and “Shaun and Kim 9-22-12" written on the front of the ice rink.